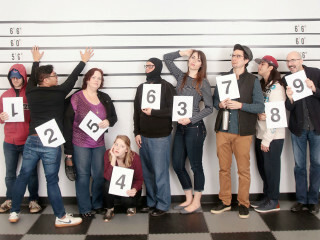 AURA Contemporary Ensemble presents Murder Mystery: Murder in the MOH – Whodunit? The Moores School of Music’s new Fridays at Moores series continues with a thrilling evening of mystery, intrigue and deduction by AURA Contemporary Ensemble. Featuring actor Susan Koozin and music by Bryce Dessner, guitarist for the band The National, and composer David Lang, “Murder Mystery: Murder in the MOH - Whodunit?” blends chamber music and live theatre to offer a unique production that ranges from intense drama to slapstick comedy.